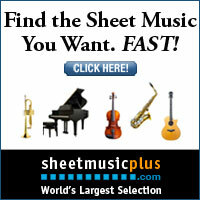 Are you ready for your February music class lessons? Yes? No? Need some more activities? This week’s post is all about using the FEBRUARY MUSIC FREEBIE that’s in the FREE RESOURCE LIBRARY. I struggle with February lessons because there’s Groundhog Day, President’s Day, and Valentine’s Day all in a row. What to do? Well, no matter what the theme, it’s important to keep lessons and activities interactive. So I’m sharing my ideas for simple and interactive February music class lessons. One teaching strategy that works well in February is MUSIC STATIONS. After I began using Stations in my classroom, I noticed engagement and student achievement soaring! But- planning music stations for every grade level takes a lot of energy and time. So I don’t– I only use stations in two or three of my grade levels. For example: my 2nd, 3rd and 4th graders are doing station activities, 6th- guitars, 5th- keyboards, 1st and K are experiencing some folk dances and instrument playing activities. After a while I realized I had to find a way to streamline the use of STATIONS in my classroom. I am/was convinced that INTERACTIVE LESSONS are needed for today’s kids. And, my kids love them. Another thing to consider is setting stations up in the room takes space, so it’s nice to have more than one grade using that space. Streamlining lesson’s helps me stay more focused with all grade levels too. Stations offer the opportunity to provide a variety of learning strategies in one class time. That way you’re giving ALL of your students opportunities to learn. I’ve got several blog posts about station activities. November: Want to know more about STATIONS? CLICK HERE TO GO TO NOVEMBER MUSIC STATIONS. Although it’s about November themes, you’ll love the ideas and the FREEBIE. First, I’ll determine the standards and concepts the students need to be working on in February. Then I’ll set up stations that support learning those concepts. As a result, I’ll have a framework to establish which activities would work best for my students. In addition, I’ve found that manipulatives really help students internalize concepts and learn deeply because students have to use eyes, ears, hands and brains to do the activities. That’s the reason I use manipulatives in my station activities. And that’s what’s inside the Freebie. This month the Free Resource is heart shaped rhythm cards to help students learn how to create rhythm phrases, how to play rhythms, and how rhythm fits in the beat. The same manipulatives can be used at several stations because the goal at the station is different. If you set it up right, Stations give you the chance to reach All your students. And remember, kinesthetic learners are over 30% of your learners. With a little planning you’ll be able to help all learners by choosing specific activities that address these types of learners. How about trying these? Kinesthetic station where students create a rhythm pattern and then “say and play” it using body percussion or percussion instruments. Aural/logical station, they’ll create a rhythm pattern and experiment with composing by playing on a xylophone with only pentatonic notes. Social station where students play games. I don’t believe you have to address them all. So choose the ones that work for you and try to use materials and resources you’ve already got in your classroom. Then, maybe add a new station the next school year. This will give you an opportunity to figure out what works and what doesn’t with your students. You can find FREE resources that you can use in every one of those station activities in the Free Resource Library. You’ll want to download the FREEBIE for FEBRUARY is filled with ACTIVITIES and GAMES to help you in your classroom in music stations, or whole group activities. HOW TO USE THIS INTERACTIVE FREEBIE! All you have to do is SUBSCRIBE TO SING PLAY CREATE NEWSLETTER and you’ll gain access to all of the FREE RESOURCES that will make your teaching life EASIER. So over a period of time you’ll be able to take your time when implementing new strategies (I have to tell myself this all the time!) And let your students guide you as to what works in your classroom. Ultimately, you’ll not only have a new teaching strategy, but you’ll also reach more students through using Stations and Streamlining the activities across grade levels. Hoping that these strategies for making your lessons interactive give you some ideas to help you in your classroom. Please share this post with your teacher friends.